Just walking into the cathedral evokes awe. It was a few minutes of upward gazing before most sketchers settled on the particular view/angle they would sketch. 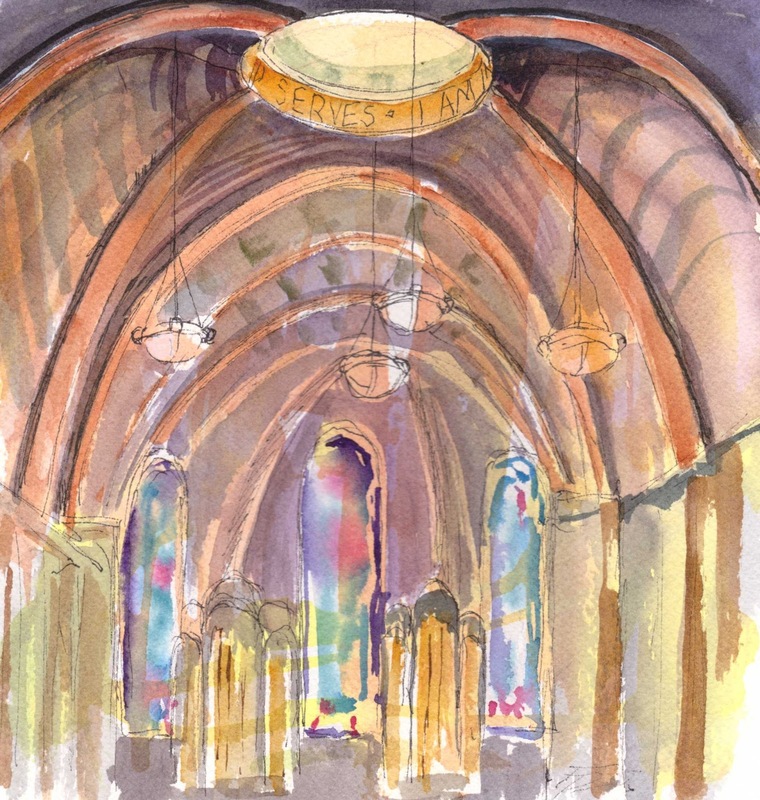 Quite a few of us sketched the high ceiling, particularly where light streamed in from the skylight. In this watercolor, I had "prepped" the Arches CP paper with a diluted acrylic wash. You can see some of it just right of center. Before I had attempted those vaulted ceilings, I did a pen and ink sketch of the baptistery. I added a bit of watercolor when I came home. I said it was an inspiring morning largely because of the wonderful sketches everyone shared afterwards. 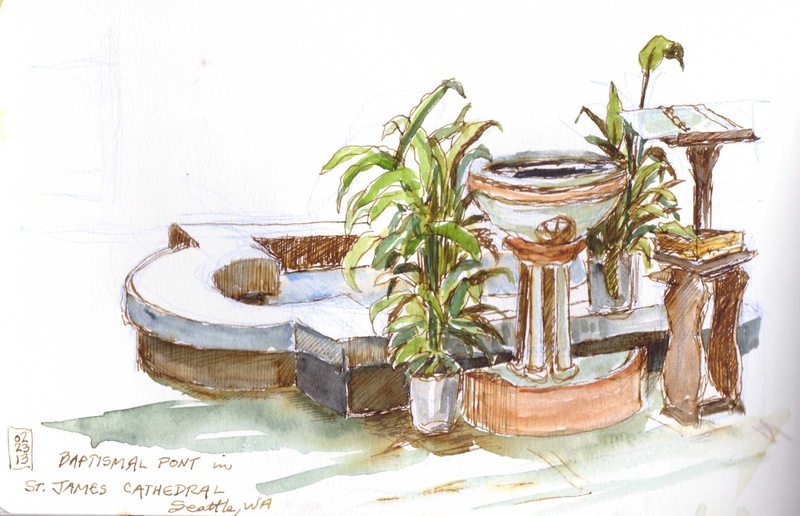 I am so awed by the artistry of the Seattle sketchers! YOU'RE one of those artists, Peggy - these are awesome! I am so awed by your artistry..and the inspiration you share. Sorry I could not be there.